At last, a book about the little pieces of occupation which make up life' s real situations and experiences and form a basis for therapy. Offered in the form of stories about practice previously published in the popular US publication Advance for Occupational Therapy Practitioners, this enjoyable book presents occupational therapists as "masters of the mundane." Therapists, students and educators will find this easy to read text a useful tool in guiding clinical approaches to therapy. Accompanied by theoretical papers by Dr. Estelle Breines and colleagues previously published in refereed international journals, these stories will aid the reader in understanding principles of active occupation that guide practice and shed light on how these ideas can be applied to the education of therapists. 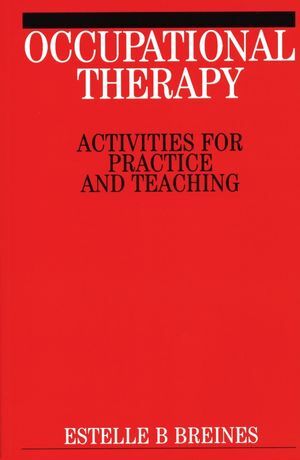 Estelle B. Breines is the author of Occupational Therapy Activities, published by Wiley. Papers Appear Under The Following Section Headings. Old Crafts - New Ideas. Occupational technology and Occupational Therapy. Teaching and Learning Through activity.